On May 20, Mukesh Vaniya (40), his wife Champa alias Jaya and their relative Savita were collecting metal scrap from near Radadiya Industries — a CNC manufacturing unit — when the five people beat them up. 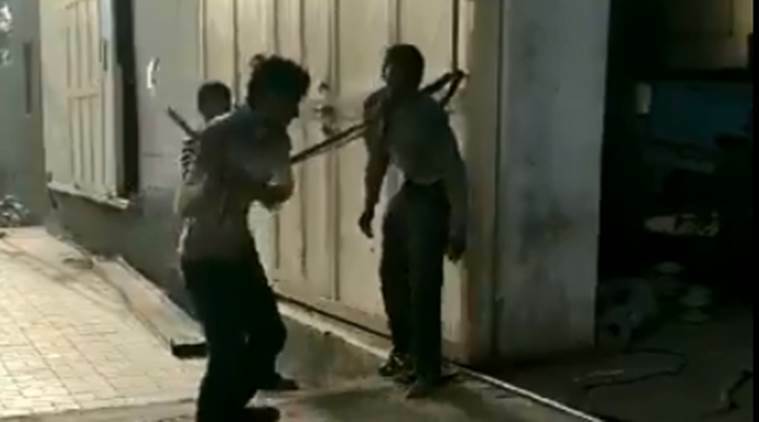 Two days after a Dalit ragpicker was beaten to death allegedly by four men and a minor boy in Gujarat’s Rajkot, the National Human Rights Commission (NHRC) Tuesday issued a notice to the state government and sought a report on the matter within four weeks. The NHRC has observed that news reports, if true, raised serious issue of human rights violation. “Accordingly, it has issued a notice to the chief secretary to the government of Gujarat, calling for a report in the matter within four weeks, along with measures taken for relief to the affected families,” an NHRC statement said. On May 20, Mukesh Vaniya (40), his wife Champa alias Jaya and their relative Savita were collecting metal scrap from near Radadiya Industries — a CNC manufacturing unit — when the five people beat them up, accusing them of stealing metal scrap. The accused allegedly tied Vaniya with a belt on the factory compound and beat him up with pipes. He died on way to hospital. The police arrested Chirag Vora, Divyesh Vora, Jaysukh Radadiya and Tejas Zala for murder, voluntarily causing hurt under the IPC and SC/ST (Prevention of Atrocities) Act. They have also detained the minor boy allegedly involved in the case. “…The deputy superintendent of police… has stated that there are wounds on the body of the deceased (Vaniya), which could have been caused by blunt objects… probe has been reportedly initiated,” the statement said.